THE child who lies awake at night listening to violent rows between their parents. The boy in Primary 4 wearing a nappy under his trousers because no one has taught him how to go to the toilet. The Primary 7 pupil with a reading age of a child in Primary 2. The teenage girl who cares for her parents – not the other way around. The girl wearing the same unwashed school shirt, again. And then there is the violent child who becomes a violent young adult and ends up killing a man. These are the real stories of young people educated in schools across Northern Ireland uncovered during research by The Detail into barriers to learning. They are some of our most vulnerable children and their issues stretch across all social classes; some live in housing estates, others go home to mansions. The Detail has spoken to senior teachers at two mainstream schools. Both provided anonymous data on a single year group to help paint a picture of the issues they – and children in other mainstream schools – are facing every day. They also outlined how they must prioritise cases for the limited educational psychology support available. 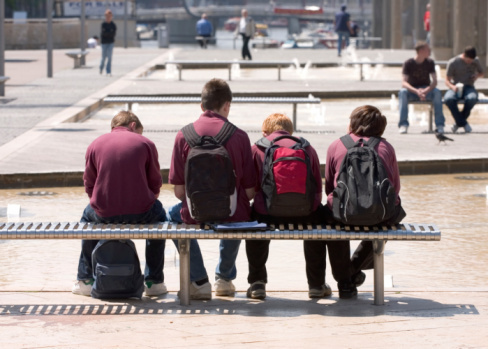 The Department of Education has said it recognises that many young people may be struggling to cope with life outside of school which can impact on their ability to engage with learning. 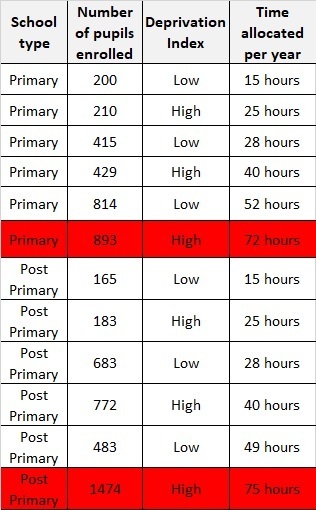 Data provided to The Detail by the Education Authority (EA) for all schools in Northern Ireland shows that the time allocated for direct contact time with education psychologists is just 15 hours a year for all of the pupils at one primary - compared with the highest allocation (75 hours) at a large post-primary with high social deprivation. The teachers spoke to The Detail during an ongoing financial crisis in the education sector and as a Northern Ireland Affairs Committee inquiry into funding for Northern Ireland schools continues to hear evidence at Westminster. Education Other Than at School (EOTAS) includes all forms of education taking place outside of the formal school environment. Children with the most serious social, emotional, behavioural, medical or other issues are educated in EOTAS – some have been expelled from their mainstream school. According to the Department of Education, 676 pupils were enrolled in EOTAS centres as of October 2018. That number of pupils could equate to an entire post-primary school. Loughshore Education Resource Centre in Belfast is an EOTAS centre. Its principal Geri Cameron is currently on secondment as the president of the National Association of Head Teachers (NAHT) in Northern Ireland. The NI Audit Office reported last week that the EA overspent by £16.6m over the 2017-18 year, including a £12.7m overspend in special education needs. The EA's total budget for the year was £1.88bn. We have ensured no school or individual child can be identified from the following information. Children’s names have been changed and geography has been omitted. At this large post-primary around half of the Year 8 pupils (aged 11 or 12) are entitled to free school meals and a third have special educational needs. A quarter of the year group have a reading age below seven-years-old – this could be as much as five years below their chronological age. Around a third of the pupils are considered to be in the lowest quarter of the population academically, many have significant self-esteem issues and a negative attitude towards education. The attendance level for this group of year 8 pupils is over 90% which is higher than the Northern Ireland average. Only a small number have dropped below the crucial 85% attendance threshold which can trigger a referral to the Education Welfare Service. Many want to be in school and a detailed examination of the pupil background data supplied in confidence by the principal may explain why this is the case. We were given anonymised information on 32 pupils from Year 8. The fathers of two of the pupils died from suicide, two other dads are in prison and one other parent was murdered. Another boy’s dad is terminally ill.
Four of the children live with mothers who have drug and/or alcohol problems, two have witnessed domestic abuse of their mum by their dad and two of their classmates’ mums have severe mental health issues. Three of the children live with their grandmothers. Two of the pupils are reported as regularly “roaming the streets” while another is known to the police for shoplifting. Other issues among this group of children include a lack of stability, seriously ill parents, disabled siblings, parents separated, access to inappropriate sexual material and concerns about neglect. They include a boy we’ll call David. He moved in with his granny when he was a toddler due to his mum’s alcoholism. He’s back living with her now and struggling. Sarah has hygiene issues and poor school attendance. Her brother died from a drugs overdose. There is no family stability for Sean. He moves between his mum, dad and grandparents. Emma’s dad is in prison and her mum has problems with drug and alcohol abuse. Despite all of these issues, only a few pupils are on the Child Protection Register and a small number have active Social Services involvement. The school supports these children and their families with intervention programmes for reading, maths, pastoral support, building resilience, counselling and education psychology support if needed. The principal told us: “We have six visits a year from the educational psychologist and we end up prioritising for behaviour support. We rarely make a referral based on learning needs. It is the child who is being the most disruptive who will be seen first as this impacts on other children. “We are really surprised that the issues of some of our Year 8 pupils were not picked up by their primary school. It’s much better for us to know in advance and plan for their needs. “Some children have serious mental health issues and they are being pushed through schools that don’t have the resources to deal with them. We need more schools like Loughshore that specialise in supporting children with very complex needs. “Children in the extreme cases I am talking about need one to one sessions and individual curriculum planning. We need to give them hope and aspiration and to tell them that they have a future. That is hard to do within a large year group. Home life can impact on pupils' ability to engage with education. Another senior teacher spoke to us in confidence about each of the pupils in his school’s current Primary 7 group. They are aged 10 or 11-years-old with around 40% on the special needs register. “The inclusion agenda is fine in theory but all of the children suffer in a class if you are trying to deal with a child with special needs,” he said. “Bright children will generally get on well – it’s the middle children who suffer. “The children in this P7 class have a reading age which could range from six-years-old right up to pupils reading like 14-year-olds. We have had children in P3 and P4 still wearing nappies and it’s not for medical reasons; they just haven’t been taught how to use the toilet. “We have a pupil whose dad is in prison. She thinks he is working away in France. “Some children are in very large families and, in some cases, there are many different fathers. The child I am thinking of in this group is a lovely child who causes no bother and, in a different family, he would do really well. But his parents have so many children and are supportive but they just don’t value education and can’t help him at home. “There is a lot of divorce and single parent families. One of our pupil’s parents split up and both remarried. She finds it hard to make friends. I think she’s afraid that her friends are going to leave her too. One boy’s mum has just had a new baby with a new partner and he is very angry with the world. “There was an acrimonious split between one set of parents. The mum has turned the children against their dad and they hardly ever see him. The child has definitely been scarred by this. It has had a huge impact. “A lot of the boys don’t have a steady father figure and this isn’t helped with the lack of male teachers in primary schools. The teacher said that family support for education is vital. “Some parents refuse to accept there is any difficulty or a difference in their child and they can end up leaving it too late to put any support in place. One family delayed for years having their child to be assessed even though it was really clear that he was autistic. They were in denial for a long time. Only now he has a diagnosis, he can access external support. “There are a number of children whose parents do not want to push them and homeworks aren’t done. It is very hard to work with a child if their parents don’t value education. There are 34 EOTAS centres in Northern Ireland providing for the needs of extremely vulnerable pupils aged from five to 16. The 676 pupils enrolled in EOTAS as of October include pupils dual registered with a mainstream school who may be accessing EOTAS for a temporary period. Just 74 pupils were single registered which means that they no longer have a link to a mainstream school. The Education Authority (EA) confirmed that at the end of 2018 13 young people were on the waiting list for placement in post-primary EOTAS. The latest report from the Chief Inspector of Schools said that EOTAS centres are experiencing an increase in the proportion of pupils being referred through Children and Adolescent Mental Health Services, including young people with autism and multiple learning difficulties, and those questioning their gender identity. It also stated that EOTAS centres report that the most vulnerable pupils are not getting a consistent service; for example, access to the necessary specialist support. And, despite official guidance, placing year 12 pupils in EOTAS centres “remains a persistently poor practice”. The Department’s guidance is that year 12 pupils should only be referred in very exceptional circumstances and that their exam performance should be collated. The EA told us 195 year 12 pupils were accessing EOTAS as of December. Some could be long-term placements, while others may have moved into EOTAS in Year 12. Figures held by the EA on EOTAS show only 424 children were being provided with EOTAS provision in December/January. The authority said that the numbers can fluctuate as pupils move in and out of provision. A further 168 primary pupils were accessing outreach support only. The EA statistics state there were 388 post-primary EOTAS pupils as of December 2018. Twenty-five had been expelled from their mainstream school, 48 had autism, 134 were also receiving support from Children & Adolescent Mental Health Services and 59 were looked after children. Half were in Year 12 (aged 15 or 16) and 73% were male. As of January 1st, 36 primary school aged pupils were accessing EOTAS – the majority on a part-time basis. Another 168 children in primary schools were receiving outreach support only. Loughshore Education Resource Centre, based on the Shore Road in north Belfast, provides education for young people with social, emotional and behavioural difficulties from all post-primary schools in the Belfast area. 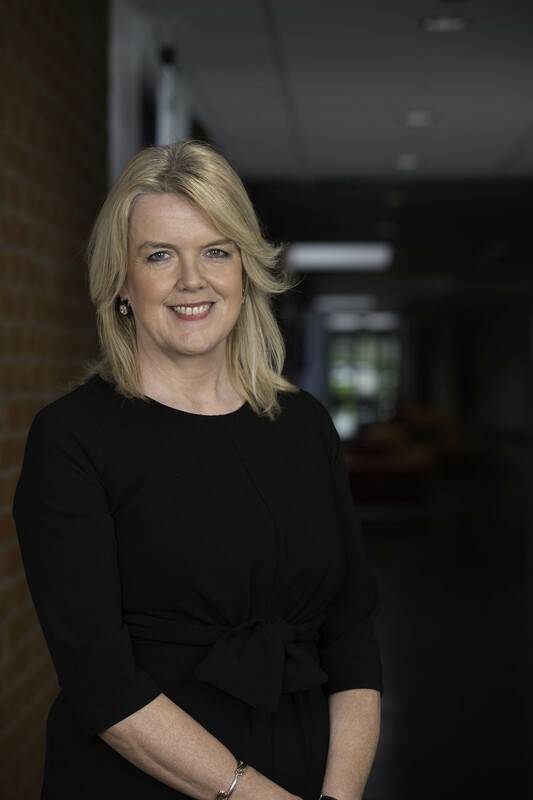 Geri Cameron is the centre’s principal and currently on secondment as the president of the National Association of Head Teachers in Northern Ireland. For many others though, the outcome is more positive. Loughshore offers a range of innovative courses and 85% of the leavers go on to further education or employment. She continued: “Early intervention is really important but I actually speak about continuous intervention. You cannot put help and support in and then withdraw it. That is what is happening currently in the school system through no fault of the schools themselves. A child that has had a rough start in life may have attachment issues, they may not have been potty trained or read to. The most extreme cases of adversity include mothers smoking during pregnancy, premature birth, foetal alcohol syndrome and a low birth weight. “Whenever they get into school, I talk about the perfect storm,” Mrs Cameron continued. “They will come in alongside children who have had all those benefits and they feel in deficit and less than. They will either withdraw or scream and shout and become behaviourly challenging. “They may have other issues like being the oldest member of a very large family with the responsibility to look after a lot of children. Or they could have autism. They might be shipped from pillar to post or supervision is lacking. Some children have to deal with more adversity than the average person does in their lifetime. “There is one common denominator in Loughshore – the children’s adversity is outweighing their resilience. “When pupils come to Loughshore, we get health checks done on their teeth, ears and eyes. They often don’t have vaccination records so we try to get them up to date with their vaccinations before they leave. Their dental health is often shocking and their health can be very poor. They are more likely to go on to smoke, use drugs and alcohol. “In school, the best thing is if there is a member of staff willing to go the extra mile and be astute. That is currently a lottery in our schools but that shouldn’t be the case. For example, I know of one school that had a nurture group which did a great job with six children. The funding was withdrawn and within six months all of those children were in Loughshore. 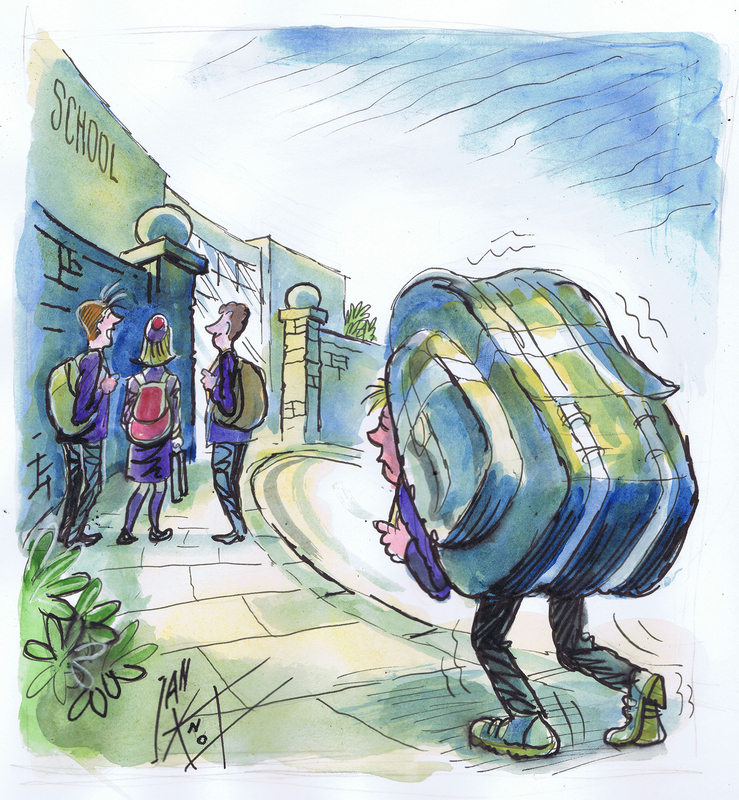 “Principals are constantly having to weigh things up. A child who has learning difficulties but is well behaved may not be the priority for limited educational psychology time when there is another child screaming and disrupting a class. It takes around seven and a half hours to complete an educational psychology assessment on one child. “Where there are the skills, resources, expertise and willingness you can maximise a child’s potential and reduce the damage. You need everyone to be willing to get on board. They may still be going home to adversity but you can tip the balance to give them resilience and then they have a chance. “The Education Authority doesn’t compile a waiting list for educational psychology but they are happy for the schools to hold waiting lists. It is a complete nightmare to manage and a slow process. It can take from six months to a year for support to be put in place. In some cases, the process can take years. “No child should be disadvantaged because of a lack of resource. It should be needs driven. That is why the NAHT is keen to find out if money in education is effectively deployed. The principal said that another barrier to learning is “we are still hung up on achieving five GCSEs in this country”. “At Loughshore, we have set up a car valeting business, we have vocational training and our pupils are now chefs across the city in restaurants and on cruise ships. We have tailored our training to the skills gaps. Our pupils are in jobs that are front of house in the hospitality industry and are highly skilled. They also work in the tech industry, for example with mobile phone companies. The Education Authority has £9.7m to spend on its Educational Psychology Service (EPS) in the 2018-19 year. This was the same amount as the previous year but less than the £10.1m spent in 2016-17. The EPS accepts referrals directly from schools and each school usually has a named educational psychologist in regular contact with them. The EPS doesn’t hold a waiting list. Instead, it is up to schools to prioritise their cases within a specific amount of time allocated to each school. So the waiting lists are at school level. The time allocation framework covers advice to schools on emergency cases and need, stage 3 assessments (seeking help from outside of the school), school-based training and pupil interventions. We asked the EA to provide more information on the time given to schools. The table above for the 2018-19 school year was provided and shows that the time allocated for direct contact time with education psychologists is just 15 hours a year for all of the pupils at one primary - compared with the highest allocation (75 hours) at a large post-primary with high social deprivation. The primary school with the highest number of hours allocated in 2018-19 (72 hours) had an enrolment of 893 pupils, is in an urban area, and has a high social deprivation index. The post-primary school with the highest number of hours allocated in 2018-19 (75 hours) had an enrolment of 1,474 pupils, is in an urban area, and has a high social deprivation index. Five percent of each educational psychologist’s time is held in reserve for emergency cases and exceptional circumstances. Every three years, the time allocated to each school is re-calculated using a formula which takes into account the size of the school, educational attainment and social index of need. It covers face to face contact time in schools – not the administration associated with assessment. The Education Authority said: “Whilst there are no limits imposed on the number of children that may be referred to an educational psychologist for assessment at Stage 3, the Education Authority operates a time allocation model for Educational Psychology Services where children are prioritised for assessment. “There is a finite amount of educational psychology time available and this process helps ensure that it is apportioned in a transparent and equitable manner and that those in greatest need are prioritised. In addition to EPS input, schools can also access support for pupils from a range of services including support for early years inclusion, autism, sensory support, literacy support, language and communications service, behaviour support, education welfare and intercultural education. Healthcare professionals also attend primary schools to provide support including speech and language therapy and physiotherapy. Dr Clare Mangan, the Education Authority’s director of children and young people’s services, said: “We offer a wide range of support services for schools. EA’s Educational Psychology Service offers a key role in working with schools and is one means through which support is provided. In addition, a behaviour support provision is available for all children and young people with social, emotional and behavioural difficulties. “We will continue to work with parents, schools and partner agencies to manage barriers to learning and development by promoting effective and positive behaviour management strategies to improve the learning and teaching for all. The Detail asked the Department of Education to comment on our findings and whether the best possible education is being provided for our most vulnerable children. A department spokeswoman outlined how millions of pounds are spent annually on programmes like Sure Start, nurture groups, youth services, pre-school education places, Targeting Social Need, the schools’ counselling service and the Extended Schools programme. She said: “In some cases, children and young people are presenting with more complex issues that schools alone cannot address as these children require more intensive support. “As a way of addressing this, we are currently working jointly with the Department of Health, the Public Health Agency and the Education Authority to consider how we can collaboratively support children’s needs and ensure that clear structures and pathways are in place that will ensure as far as possible that all children and young people are empowered and supported to overcome the difficulties they may face. She concluded: “The department believes that best place for children to receive their education is in a mainstream school with their peers, where each pupil’s full range of learning and developmental needs can be addressed. Click here to read the full Department of Education response.